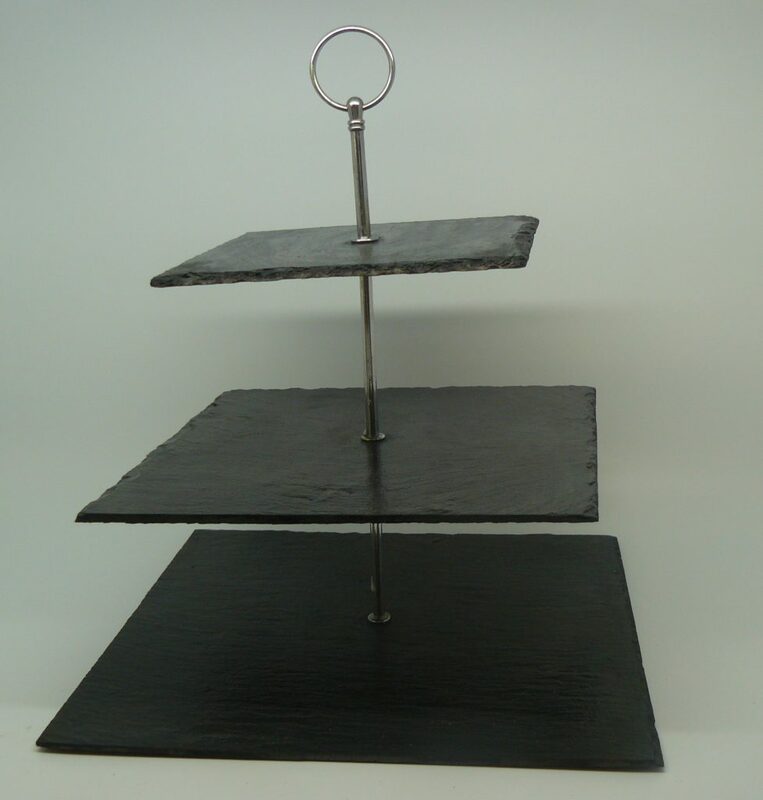 Modern three tier cake or entree display stands. Ideal for events and exhibitions. Twelve stands are available at £4 each. These are flat packed but easily assembled.